There is no shortage of great restaurants in Hoboken, and many have children’s menus, but it’s hard to find a restaurant that will welcome kids with open arms. Fortunately, there are some Hoboken establishments that make it their business to help families with small children feel welcome, and don’t compromise on flavor and atmosphere either. Sitting down with the whole family at a local pizzeria is a crucial part of growing up in New Jersey for any kid and you can look forward to a casual laid-back experience at Johnny Pepperoni, where adults and children alike need not concern themselves with using an “inside voice”. Their kids menu is simple and cheap: spaghetti & meatballs, pasta with butter, and chicken fingers & fries. Plus, it’s BYOB, so adult meals can be cheap too! It can be a challenge to find a classy and trendy restaurant in Hoboken that will accommodate and welcome little ones, so Elysian Cafe, with its famous kids-eat-free night every Tuesday, is a real find. A charming American/French bistro, patrons rave about the brunch Bloody Marys and cute decor. Equipped with an outdoor patio, it’s also a great nice weather option. If only it were as easy to get kids to eat veggies as it is to get them to eat cheeseburgers! At least at Bareburger, all the meat is completely organic and free-range so you don’t need to worry about hormones and antibiotics. Tall booths and crayons help to keep kids contained and occupied in this casual milkshake, burger, and “mini-burger” spot. A very popular spot for kids and families, this high-quality breakfast and brunch only diner has a pleasant atmosphere and an extensive kids menu, including a s’mores waffle, pita pizza, volcano french toast, and an egg roll-up. Its close proximity to the pier makes it an ideal stop to pair with a river-side stroll. 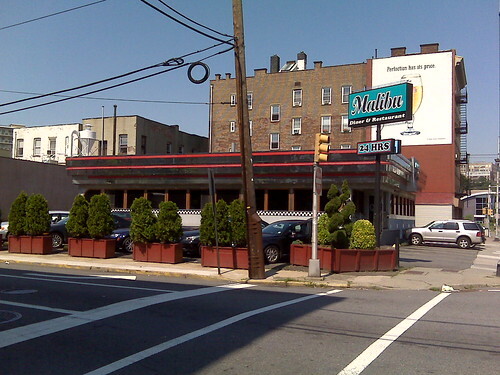 24/7 diners in New Jersey have always had a reputation for being family hang-outs and for hosting big groups, but Malibu Diner stands out for it’s cleanliness, quality food, and super friendly staff. True to diner form, it has a very extensive menu, and even has some unique options for the kids including a mini “Turkey Dinner”. 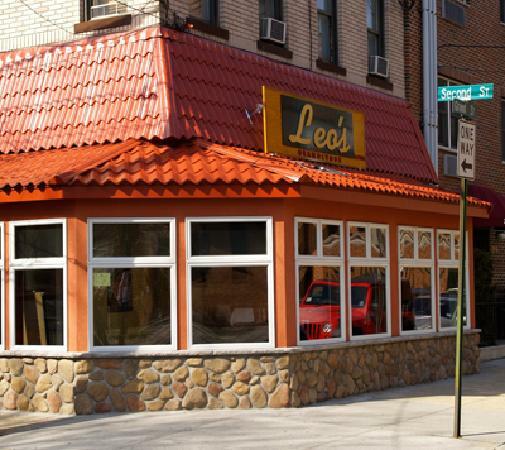 With a casual family-friendly atmosphere, Leo’s offers a substantial Italian menu, so the kids can pig out on pizza while you have some more diverse options. Opened in 1939, the restaurant has a classic old-school vibe and pays homage to Frank Sinatra at every possible opportunity. The staff has an accommodating and calm attitude towards families with lots of energetic children. They will happily serve half-portions of any of the plates. 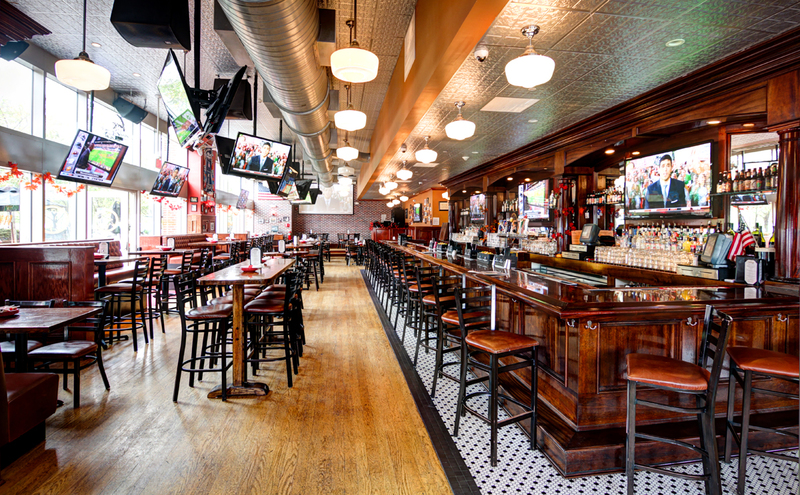 One of the best casual dining experiences you’ll have in Hoboken, Zack’s is one of those rare restaurants that’ll serve you a martini and a gourmet crab cake, but won’t shun your squirming children. It’s far more of an adult-centric restaurant than some of the others on this list and has no explicit kids menu, but parents praise its welcoming and accommodating attitude towards families with small children. If you want a fun indulgent little excursion for you and your kids, look no further than this adorable old-timey soda fountain. Serving homemade donuts, chocolates, and egg-creams, as well as breakfast and lunch, it’s not only a great place for your kids, but it may bring out the kid in you. The menu includes such treats as a cherry coke float, eggs benedict, and the “Eggstzel”, which is “scrambled eggs baked inside a pretzel”. It may seem out of character for a biergarten, but adults with kids at this establishment far outnumber those without. Perhaps because of its already bustling noisy high-energy atmosphere, this Czechoslovakian beer and sausage establishment has become a haven for young social parents, so why not join the party? And if you don’t believe me, check the reviews online, where adults without children confess to feeling “left out”. No matter how understanding a restaurant’s staff is, when your kid acts up during a nice dinner, it can feel embarrassing. Luckily, at Hudson Tavern, there is a separate rowdy bar room for families with kids, and a quieter more formal room for date night. This American pub also offers a kids menu with an entire healthy section including sides of steamed vegetables. This restaurant is also great for family events and private parties.